i Click 'view all' to instantly compare this wait with offers on other top robot vacuums. 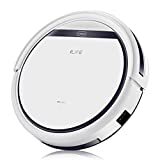 Eufy RoboVac 11+ Robot Vacuum, Self-Charging, Pet Fur Filter, 1000Pa is currently selling at $398.95, approximately $147.72 higher than average. With a lowest price of $169.99 and an average of $251.23 it is selling on the high end of its usual range. Price volatility is 1.04% (meaning it does not change often), so you might have to wait a while for the price to drop. Right now this product is a recommended 'wait'. 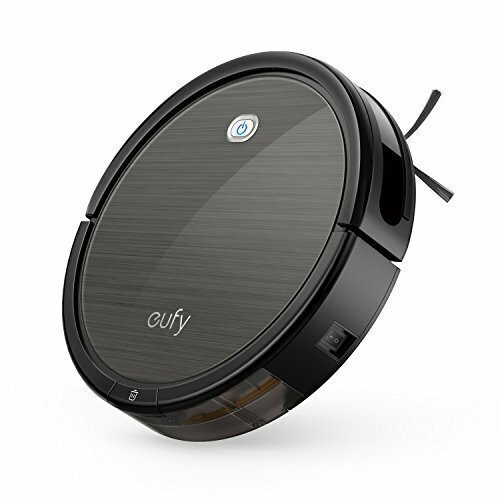 Compare the current price, savings (in dollars & percent) and Buy Ratings for the top Robot Vacuums that are closely related to Eufy RoboVac 11+ Robot Vacuum, Self-Charging, Pet Fur Filter, 1000Pa. 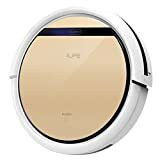 Here is how Eufy RoboVac 11+ Robot Vacuum, Self-Charging, Pet Fur Filter, 1000Pa compares with other leading Robot Vacuums. RoboVac 11+ The Automated House-Cleaning Robot Automatic Cleaning RoboVac takes on dust-busting around your home so you don't have to. Multiple cleaning modes and auto-clean scheduling ensure an effortless, thorough clean while you do other things or nothing at all. Cleans Where You Can't Low-profile design allows it to go under furniture and eliminate hidden, hard-to-reach dirt. Upgraded wheels traverse over medium-pile carpets and climb thresholds (up to 059'' high) to reach the next room with ease. 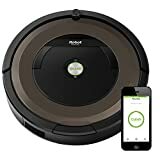 Keeps Floors Spotless A combination of counter-rotating side brushes, a redesigned rolling brush - engineered to reduce trapping rugs and sheets -, paired with powerful suction cleans wherever RoboVac passes. When greater vacuuming strength is needed to get the best clean, BoostIQ™ automatically increases suction strength to 1000Pa. Dirt is effectively loosened and extracted from the floor, then vacuumed into the dust collector. Cleans Further Larger dustbin allows RoboVac to pick up more dirt and dust to take full advantage of 100 minutes* of continuous cleaning. For Optimal Use: - Use on low-pile carpet, tile, laminate, and hardwood floors. Not suitable for high-pile carpet or very dark-colored floors. - Move cables out of the way to avoid entanglement. Note: *100 minutes cleaning using Standard mode on hardwood floors; approximately 1 hour cleaning using Power Boost mode on carpeting. **Power Boost is now called BoostIQ. The packaging you receive might say Power Boost, but please know that Power Boost and BoostIQ are the same technology. FeaturesBoostIQ™ Technology**: New feature automatically increases suction power when extra vacuuming strength is needed to get the best clean (Power Boost is now known as BoostIQ).New and Improved: An upgraded front-bumper streamlines RoboVac's profile to glide effortlessly under and around furniture while a reinforced suction inlet prevents wear.Upgraded 3-Point Cleaning System: A redesigned rolling brush -wider and reduces trapping rugs and sheets-, two side brushes, and powerful suction ensure a thorough clean.Premium Features: Anti-scratch tempered glass cover for protection, infrared-sensor for evading obstacles, and drop-sensing tech to avoid falls. Recharges automatically.